Hi, friends! I’m linking up with The Primary Gal for a sleigh full of low prep freebies! 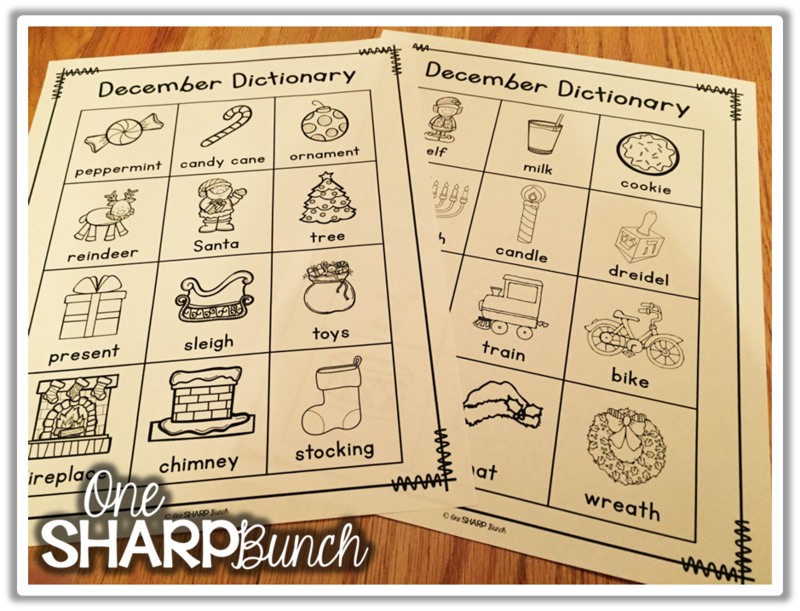 Plus, I am giving away all of my December resources featured below to one lucky winner! December is one of my favorites months to teach. It is so magical! I love everything about it… the crafts, the centers, the poems, the holiday concerts, the gift giving, the hustle and bustle! and unscrambling word wall words. and subitizing with ten frames. I know the kiddos are going to have a Holly Jolly Christmas with this week’s centers! Plus, our I Can Read December Poetry Binders are being filled with a new holiday poem each week. Sorry, I forgot to take pictures! And, we also began working on our December Journal Prompts. 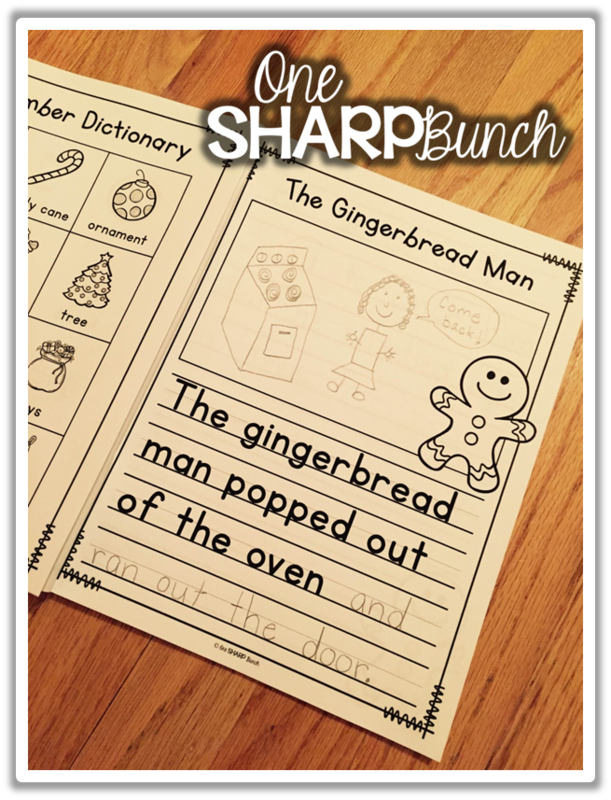 I love that these journal prompts are no prep and can be used as stand alone writing pages, work on writing activities, or as a December writing journal. I simply copied the pages and stapled along the edge, creating a journal booklet. My students use these booklets as a type of writing menu to encourage a variety of writing genres during our “Work on Writing” time. 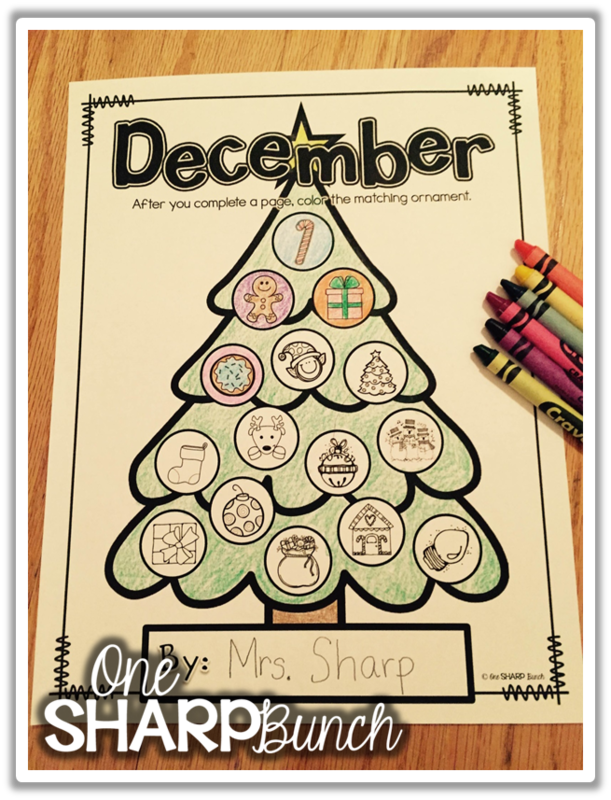 As the students complete a page, they color the corresponding ornament on the cover. Some of my students like to use the “December Dictionary” as they write, so I copied the dictionary back to-back and inserted it after the cover page. Sometimes, I keep the dictionary separate from the journal so that the students can quickly glance at it as they are writing. These monthly writing prompts have been a great way for me to keep a portfolio of my students’ writing to share with their families! Since I am in the spirit of giving, I am giving away all of my December resources to one lucky winner! Just enter the rafflecopter below. Plus, you can grab them on sale this weekend only! Now, onto the no prep freebie! Simply copy the pages, cut in half and staple along the edge. Use this booklet to practice subtraction skills. Plus, the repetitive text makes it a great emergent reader. Click the picture below to snag a copy! Don’t forget to head over to The Primary Gal to unwrap some more gifts that are sure to make your December a littler easier! Enjoy this busy holiday season!